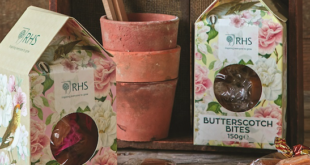 The Royal Horticultural Society has announced a new line of stationery and gifts from one of the UK’s leading giftware wholesalers Otter House Card and Gift. 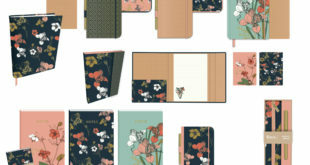 The new range, using images of flowers and birds with a mix of neutral and on-trend colours, includes a square sticky notes set, an A6 notebook, A6 notecard wallets, A6 postcard wallets, an A5 notebook, a large address and birthday book, pencils, a plastic pen and a magnetic memo pen. 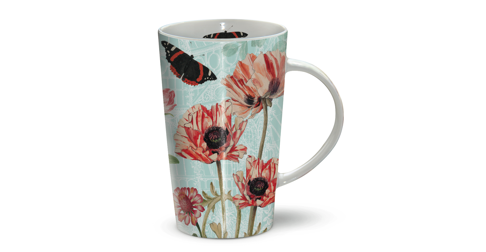 For those seeking unique gift ideas a beautiful 1,000-piece jigsaw, depicting flowers birds and butterflies, and three porcelain latte mugs, with illustrations of poppies, anemones and nerines, are also part of the range. 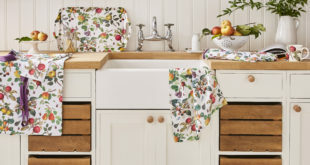 All the designs throughout the range are inspired by works from the RHS Lindley Library, the world’s largest library of botanical art. Likely to appeal not only to RHS supporters and devotees of gardens and gardening but to gift givers and lovers of beautiful stationery, all the items will be available this summer at garden centres (both national and independent), independent outlets, boutique gift shops and selected national accounts, as well as RHS shops and online. 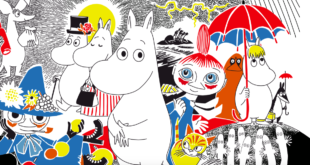 Retail prices range from £2.99 – £9.99 for the stationery, while the latte mugs retail at £5.99 and the jigsaw retails at £11.99.